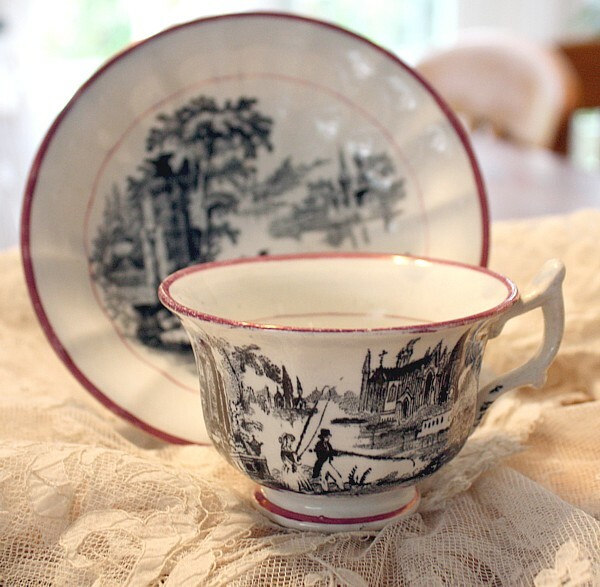 Gorgeous 19th Century Lusterware Tea Cup, with beautiful decorative black transfer of a Toile design on the pure white ground, and then that glorious Cerise Pink Luster trim...divine! Quite unusual, I love the graphic quality of the colors and design, with an English landscape and water. Ladies looking over the lake, a gentleman fishing, and two hounds right beside them in a classical garden. The cup shows both a gentleman and lady fishing! Marked with an anchor mark impressed in the plate, from the mid to late 1800's. 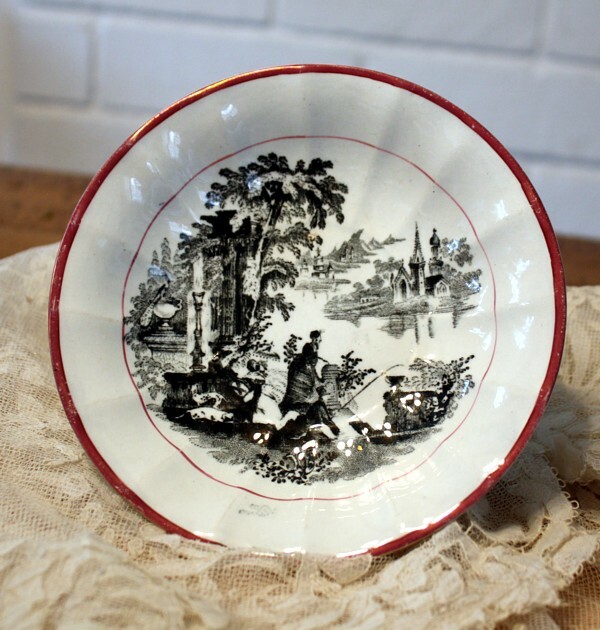 Wonderful antique condition, perfect to display with your collection. There is some wear to the luster rim, as would be expected of pieces over 100 years old. 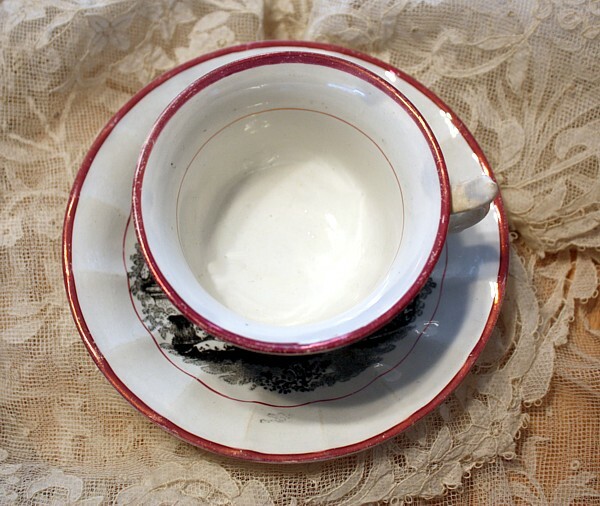 Measures : Cup: 4~1/4" x 2~1/2"h. Saucer: 5~7/8".